Stray or abandoned cats are a common sight in Shanghai. Aloof or friendly, they live in neighborhoods and parks, cadging food from residents who take pity on them or even find them cute. But when they started showing up on the elevated roads of Shanghai, something had to be done. Sometimes they simply wander up and get trapped by traffic, but more often they are carried there by motorists, either intentionally or deliberately, according to STEC Group, the company responsible for maintenance of the elevated roads. This is not a problem of an occasional stray or two. In 2018, STEC workers cleared out 1,117 cats from elevated roads, most of them roadkill. Chen Jie, a well-known lawyer in the city, is trying to do something about the situation. She cited the case of a 14-car pileup two years ago caused when a car tried to avoid a cat. Last July, Chen and a group of volunteers started working with traffic police and the STEC Group to save cats on the elevated roads. Drivers have been advised to call 110 or 12122 when they spot a cat. 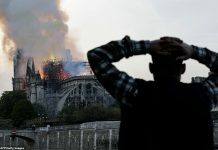 Police officers or workers will come with rescue equipment. Yang Shoushan, an STEC worker who has been working on the elevated roads since the first one was built in the 1990s, said cats have been a nettlesome issue. Workers would try to get the cats off the roads to release them. But many of the felines were already dead. According to Yang, elevated roads closest to residential communities are more likely to have strays. He urged all motorists to check under the hood before driving off to see if there are any unwitting hitchhikers. In 2010, Yang said he found a kitten shivering in a bush along the elevated road near Chengdu Road in Jing’an District. He freed the cat in the Jing’an Sculpture Park, where construction was just finishing. In cooperation with Chen, workers are now equipped with gloves, cages and nets. Many people first spotted the problem years ago. Liu Yan, who owns an interior design studio, started rescuing cats on elevated roadways five years ago. Liu said since Chen started the rescue program, things are gradually getting better. But the problem isn’t resolved. She now keeps more than 300 cats and 80 dogs at three different centers, including 52 cats rescued by Chen’s program. Taking care of them has become a huge burden. People often mock her concern, including her family, but she just can’t let go of her crusade. Every month, she spends more than 50,000 yuan (US$7,445) on the cats, and that excludes the cost of sterilization and care for injured cats. Rescued cats are sent to clinics for treatment and sterilization. If new homes can’t be found, the cats are eventually released. “Sterilized cats are less aggressive and less likely to hurt people,” Chen explained. Elevated roads aside, the burgeoning population of stray or abandoned cats and dogs in Shanghai is proving a headache. Danja Brus, a German who has lived here for 18 years, has 10 cats, all rescued. She said her capability to save cats has been hampered by finances. Lee-Ann Armstrong, a former lawyer from Canada who came to Shanghai in 2004, now runs an animal welfare association called Second Chance Animal Aid. 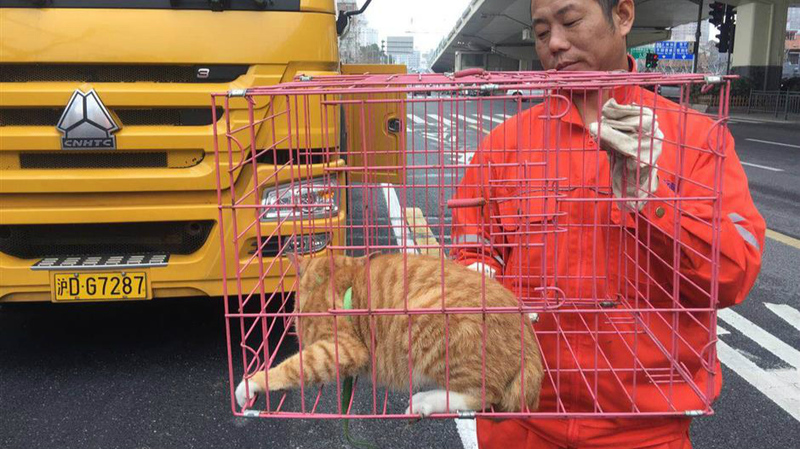 Last month, Armstrong saw a cat on Yan’an Elevated Road, but the traffic didn’t allow her to get to the animal. She took a picture of the cat and sent it to Chen. A few hours later, Chen called her to tell her that the cat had been rescued by a road maintenance crew. Chen also gets help from the others. Ruipeng Pet Hospital has offered a 20 percent discount on cat treatment and operation. A branch of the hospital located on Chaling Road in Xuhui District has taken in 179 cats rescued from the elevated road since last August. Another pet hospital called Yuanlai is performing sterilizations on cats.“They charge 150 yuan for a male and 200 for a female,” Chen said. A fundraising project she instigated on Tencent charity on behalf of the cats was halted after an anonymous report alleging it was an illegal activity. Chen said not a penny of the funds went into her own pocket. By March 22, Chen’s campaign had saved 293 cats and 10 dogs from the elevated roads in the city since last July.